It really is amazing. I don't do this as often as I should but I am amazed every time. We have so much information in our memory to inform our paintings. We only need to trust and let go. 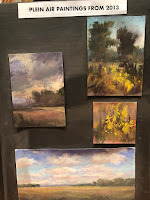 We did memory paintings as one of our exercises at my workshop this past weekend at the Goshen School of Art. 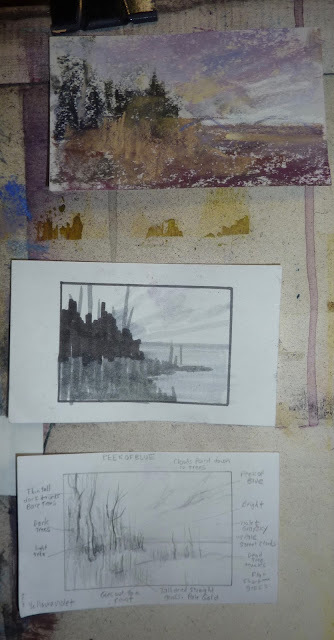 I painted the demo from the notes and sketch and color notes I made before the workshop began. No photos were allowed! It was liberating! And as always I am surprised at how much I retained after quiet study of my subject. Today I decided to use my notes and paint another variation of the painting. I used a different type of paper and a different set of pastels. I discovered that the second time with this subject I eliminated even more than the first time. 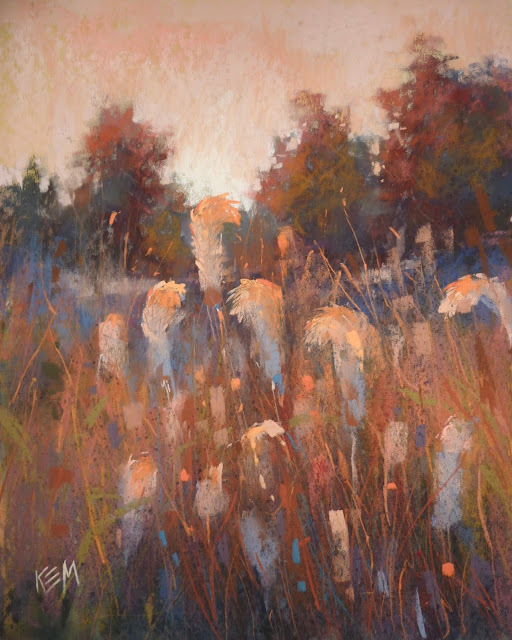 I kept only the details that were important to me.....the peek of blue in a moody sky and the golden grasses. 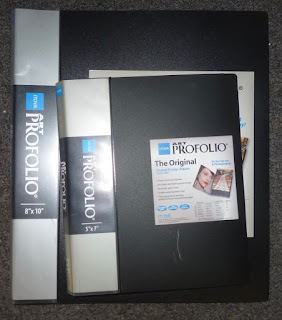 Below you can see my sketches and notes. I used a 9x2 piece of gray Colourfix paper with a dry block in. I don't usually use Colourfix but I had an old pack and the gray color was perfect. 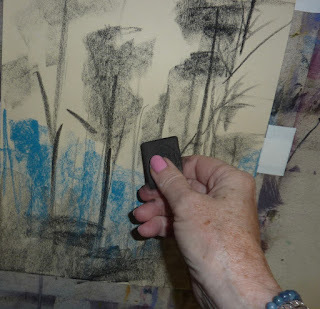 My initial block in....covering the paper with one layer. Mid way through the painting. Time for the detail. I am home after an amazing workshop experience. 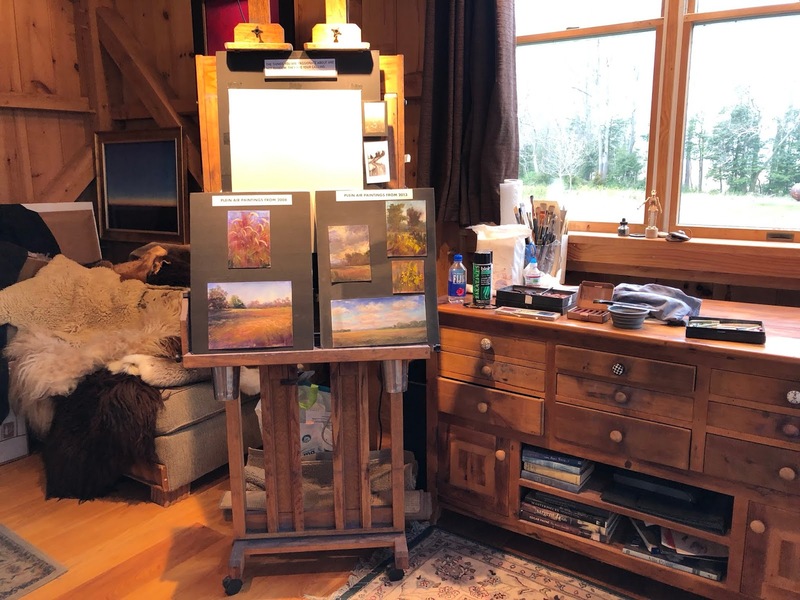 It was just the right combination of a magical location and workshop space, warm and thoughtful hospitality and an enthusiastic and talented group of artists. It was extra special for me to return to the location where my art journey truly began....this time as an instructor. 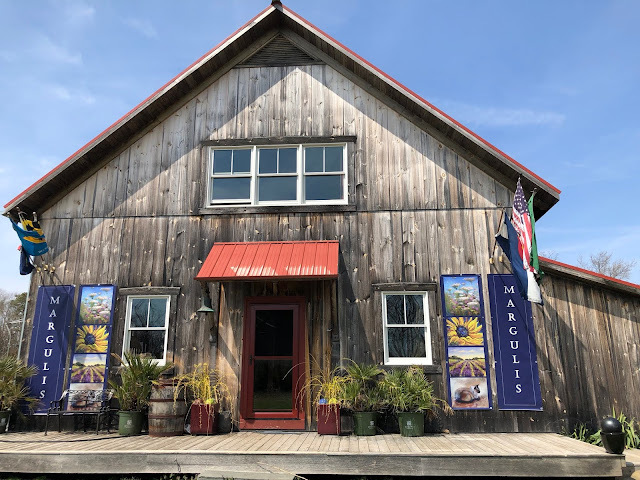 There is so much I have shared with you about the workshops I have taken here with Stan Sperlak and now I get to share my stories as a guest instructor. It was truly an honor to have the opportunity to share what I have learned. I had prepared a special demo for the reception. I shared my art journey story and how I had experienced an epiphany of sorts as a student of Stans at a workshop in 2008. 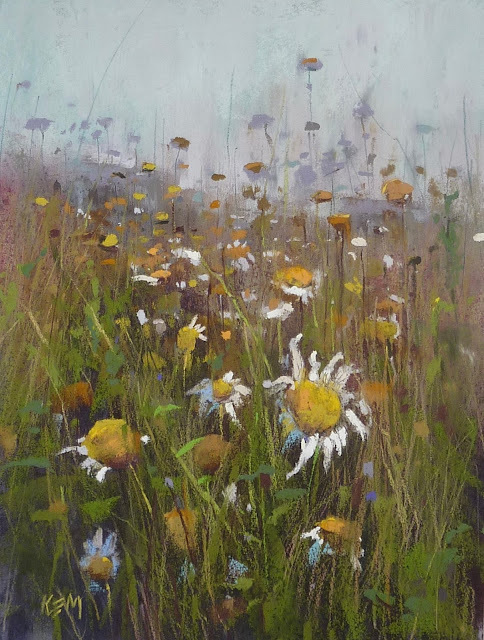 It was then when I discovered my passion for 'weeds' and gave myself permission to paint what I truly loved. It changed the course of my art journey. 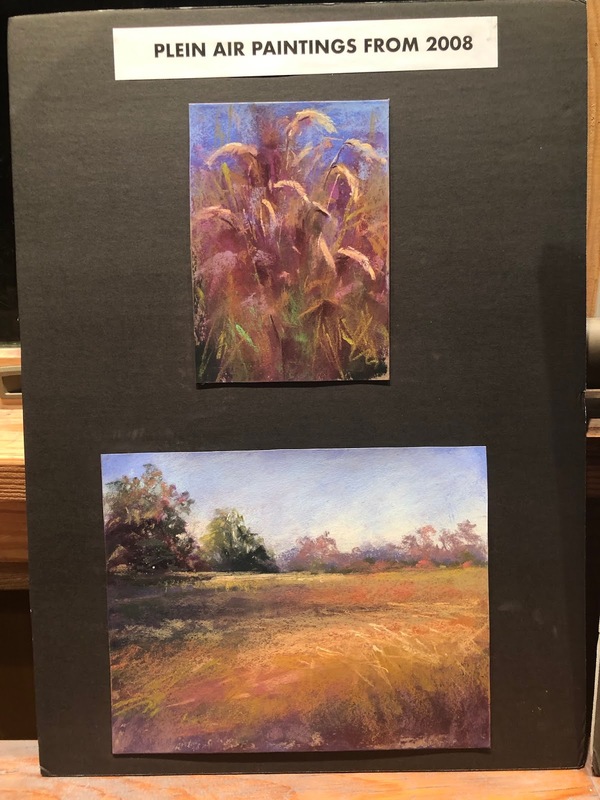 It was a wonderful experience to revisit the same weeds (which I now know to be pennisetum) which inspired my exploration of wildflowers as a painting subject. I had a photo of the grasses that I took back in 2008. It was the inspiration for the evening demo. All set up for the Thursday evening reception. This is a review from the loft of the barn. 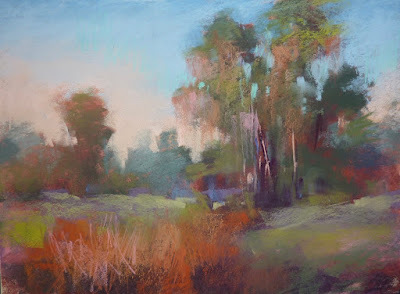 I am at the Goshen School of Art teaching a workshop this week so I'd like to share a post from the archives. I want to update the post to say that my dogwood trees have finally bloomed and they are glorious! It was worth the wait! My dogwood trees won't bloom. They are about five years old and every spring I hope they will but so far nothing but nice green leaves. I will have to be satisfied with painting dogwoods in bloom. Flowering trees can be a challenge to paint. They are like giant bouquets of flowers.....plenty of details to get caught up in. It is so easy to get carried away and end up with a tree covered in dots and blobs of color. I have simplified my dogwood trees into three easy steps. 1. Paint the trunks. Dogwoods have trunks with character. The are lyrical and irregular. I use a dark blue or purple pastel and draw some lyrical painterly lines for the trunks. I make sure they get thinner as they get taller. 2. Block in the MASS OF FOLIAGE. I treat the flowers as a mass. I don't paint individual blooms. I put down the darkest colors I see in the mass. The flowers are typically a creamy white to pink. They may appear pure white especially against the dark backdrop of the woods....but the flowers are not really pure white. I didn't use pure white for my flowers. I started with violets and dull greens of a medium value. As I developed the masses I used lighter values such as pale yellows and pinks. I also develop the background at the same time using the background colors to carve away at the flower masses making sky holes. 3. Refine the Tree. I continue to add lighter and lighter values to the flower masses. I am still keeping the large masses intact. I am careful to leave some of the dark showing. I am trying to create the form of the trees. I also work on the foreground bushes and add a few hits of azaleas. Since I am working on Canson paper and I don't have a lot of tooth, I decide to use some workable fixative so I could build more layers. I finish the tree with some dancing flower shapes...these are my brightest and heaviest marks. 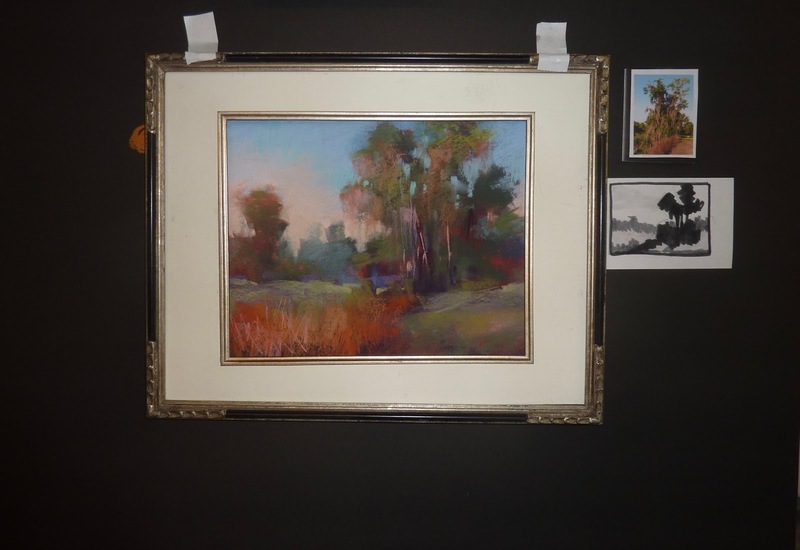 I place them carefully so that they move they eye around the painting. I don't paint every flower. I want to leave something to the viewer's imagination. 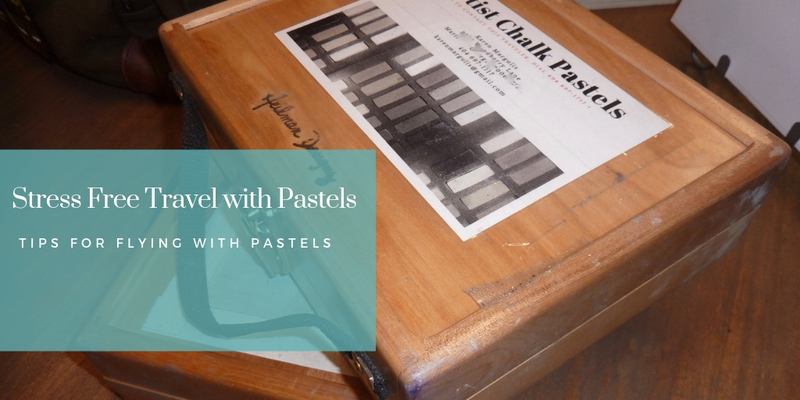 Do you need a good reason to blend your pastels? If you are like me and have been taught to never blend you might like to know there are times when blending is a good thing! 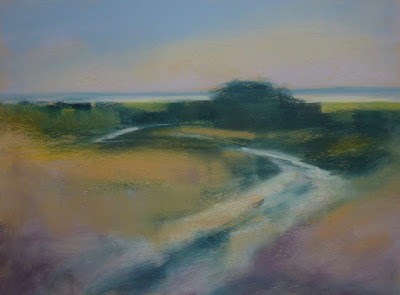 This week I have been experimenting with blending in my landscapes. I am trying for less fussy detail and more suggestion. I blended every layer of this painting. I was left with a very soft almost out of focus painting. It was working and I enjoyed the soft feeling. But something was missing. I needed some clarity and the best place for the clarity would be my focal area. I wanted the viewer to travel down my dirt path so I decided to add the detail and clarity on the path. I used a soft light value pastel and pressed very hard. In fact so hard that I broke the pastel! But the effect was perfect. 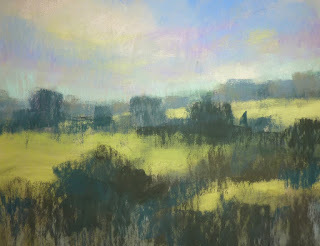 The chunky marks on the path now contrasted nicely with the smoother pastel application in the rest of the landscape. Contrast attracts your eye! 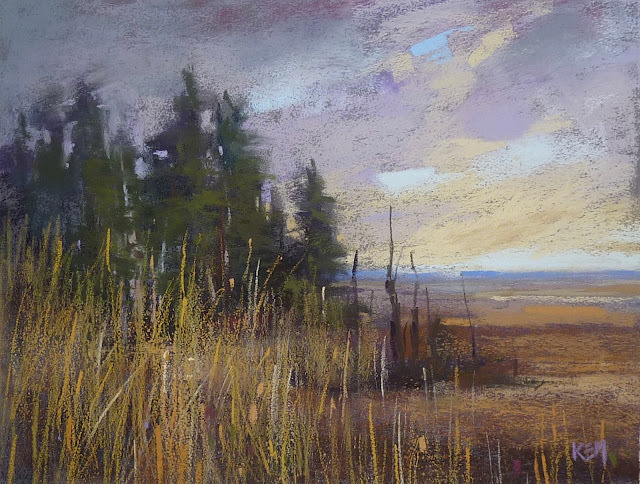 Having soft blended areas next to thicker pastel marks creates contrast and becomes a magnet for the viewer's eye. 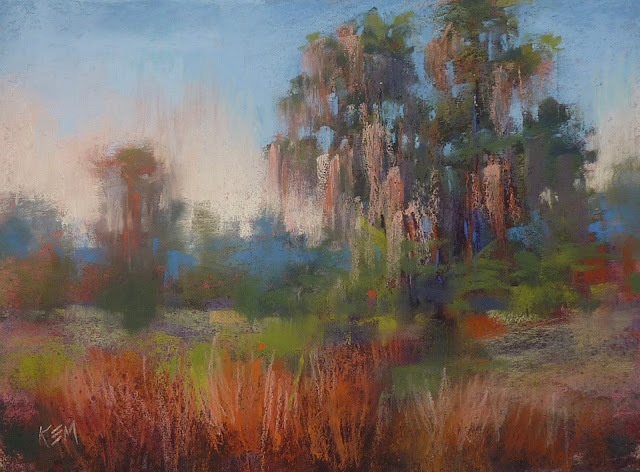 Blending does have a purpose in a pastel painting! It was just OK. 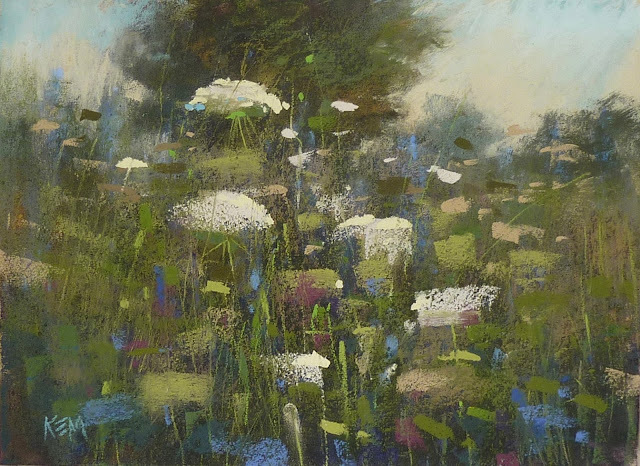 I have painted this meadow of Queen Anne's Lace many times. This time the painting felt like it was lacking something. But what? Should I add something or maybe take something away? I wasn't sure. I decided I needed to revisit the meadow....in my mind. I closed my eyes. I took several deep breaths, my body relaxing and sinking down into my chair. I let my mind wander and was transported back to that warm summer day on Cape Cod. We were waiting for the ferry to Nantucket Island. 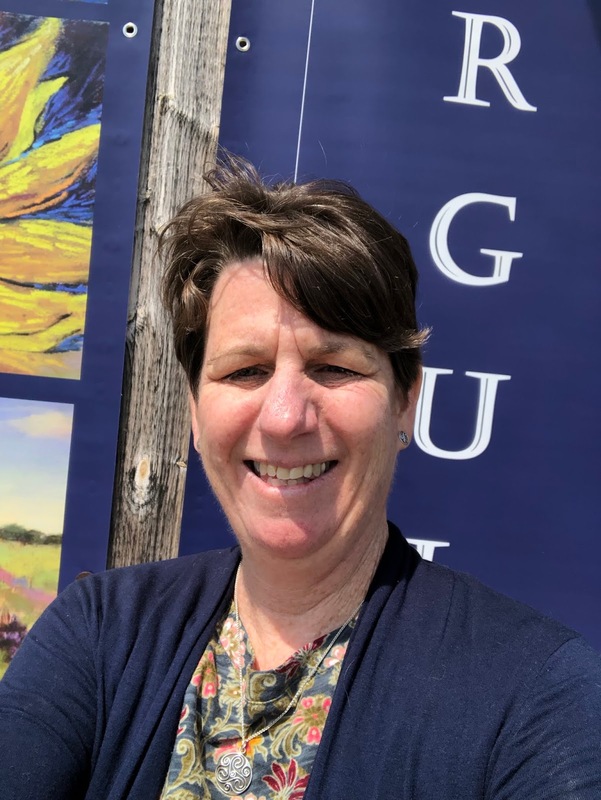 I had immersed myself in genealogy and discovered my roots in New England. 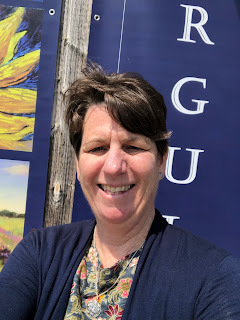 I knew that my grandfather was born and raised on Nantucket but I had recently discovered my roots went back to the founding fathers of Nantucket as well as pilgrim Thomas Rogers. I also discovered a long lost cousin still living on Nantucket. We were about to meet him for the first time. It was a bright sunny summer day. There was a gentle breeze and the air was filled with the scent of the sea and roses. I decided to wander around the docks with my camera in hand. Of course my eye was immediately drawn to a wonderful patch of Queen Anne's Lace. They were tall and thick and gorgeous. Perfect for photos except for their location. They were growing quite happily next to a large gray dumpster! No matter. I stooped down and shot my photos looking up at the blue sky. No more dumpster. As my mind wandered and recalled the day I took the dumpster photos I remembered another little detail. The bees. The flowers were alive with the buzzing of bees. Lots of bees. I could hear them in my mind. I could feel the sun. I remembered the excitement of the upcoming adventure and the serendipitous discovery of the flowers. My painting needed the bees. 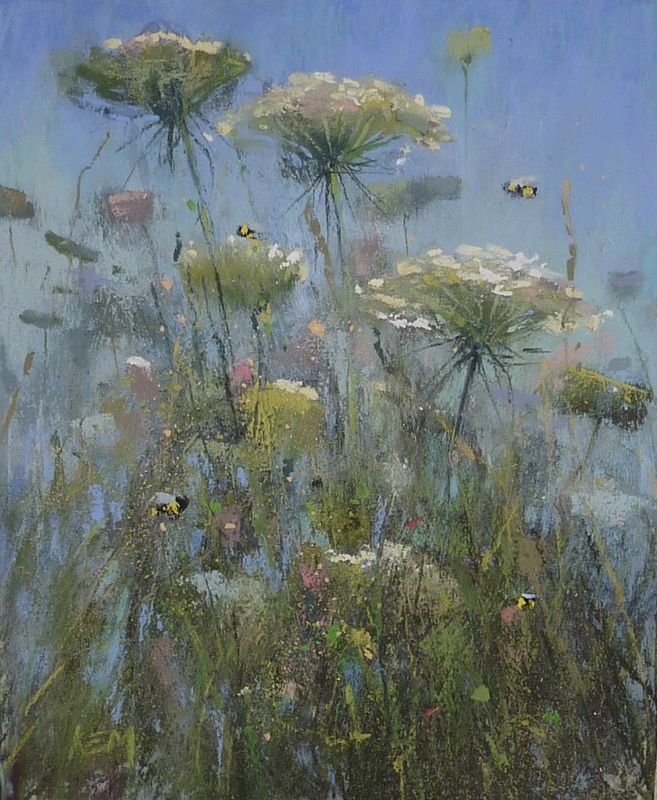 It needed a reminder of how alive everything felt....the sun, the flowers, the breeze and that wonderful summer buzzing of bumblebees. TIP: Adding the bees was just a matter of a few quick marks. I used a Terry Ludwig eggplant dark pastel for the black parts of the bee and a couple of warm yellow Schmincke pastels for the yellow parts. I put down a few dark marks and added some yellow 'stripes. A touch of bright blue on the dark and a brush of pale gray violet for the wings and I was finished. I did not draw my bee. I wanted them to be painterly so I just painted small shapes. I spent last week camping at Fort Wilderness Resort in Disney World. It really feels miles away from the craziness of the theme parks. We had visits from raccoons, turkeys, deer and of course the resident squirrels. The best part of our campsite was the view. 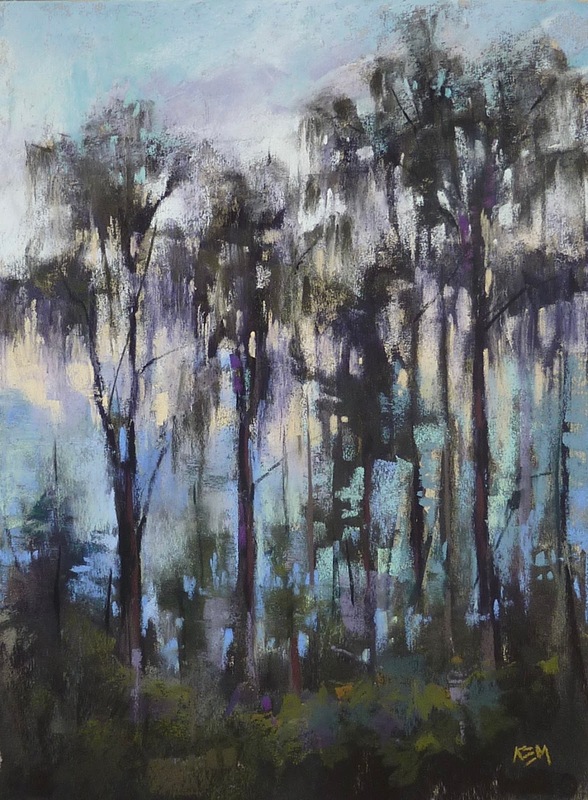 We looked out over a swampy area filled with tall pines and cypress trees dripping with Spanish moss. I became obsessed with this view. It was constantly changing. I took photos every day of the intriguing light. From sunrise to sunset to twilight and even evening I wanted to paint the view. 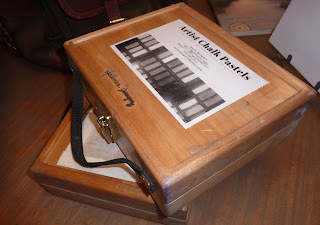 Since I only had a very small box of pastels and mini paper the paintings had to wait until I returned home. First up on the easel is the twilight view. This is just after sunset on a cloudy day. There was no fiery colorful sunset the evening. Instead there was a subtle yellow and violet glow in the sky. It was peaceful and very beautiful. I hope I did it justice. 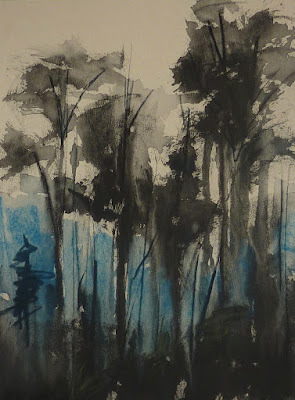 I wanted to capture the darkness of the trees without using black pastels. 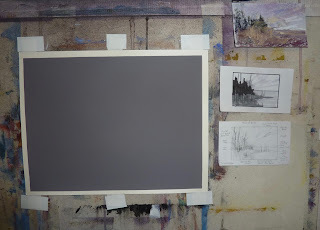 I decided to begin with a black underpainting which would give me a strong dark base to layer without dark value pastels. I love using black Art Graf for dramatic underpaintings. Look at the photo below to see how interesting Art Graf is when wet with a brush and water! "I touch it not" That advice would stay with me for a long time. 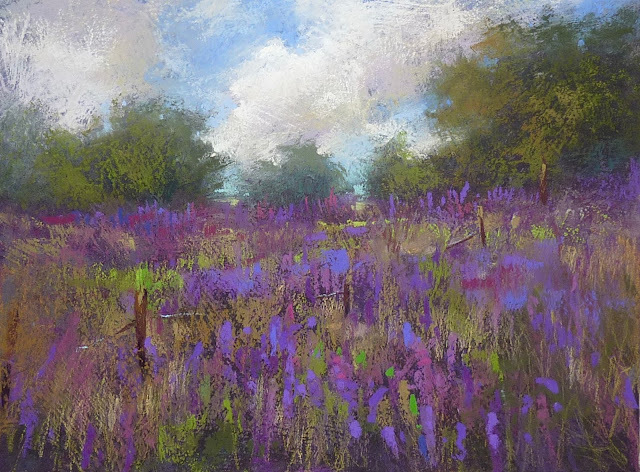 For the longest time I would not blend my pastel paintings at all. Albert Handell's voice would echo in my mind whenever I felt the urge to blend. Oh I would use a finger to soften an edge here and there but I avoided blending any large areas of pastel. It wasn't easy. It feels like the natural thing to do with pastel......rub it all in until it is smooth. But I realized that I risked making mud if I gave into the blending urge. I do blend occasionally now. 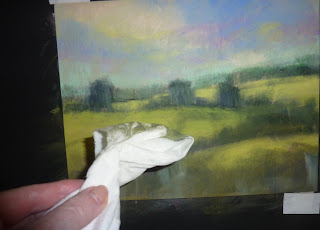 I often blend in the entire first layer of a pastel painting to create a dry wash underpainting. But I still rarely blend any more than the first layer. Until now. I couldn't resist. I wondered what would happen if I blended layers as I painted? What if I wanted a smooth and serene painting? What if I wanted to avoid any texture? So I gave in and decided to create a blended painting. I used a piece of Viva brand paper towel as my blending tool. It is a strong and soft paper towel and works well as a blending tool. I used a piece of gray sanded paper. I also further challenged myself to use only greens from Terry Ludwig's set of 90 greens for the landscape. blending with a paper towel. The result: It wasn't easy! I have worked hard over the years to create the illusion of texture in my paintings. To keep things smooth and simple was a challenge. But in the end I began to enjoy the softness of the blended passages. I was pleased with the process and the results. Who knows where this experiment may lead me! 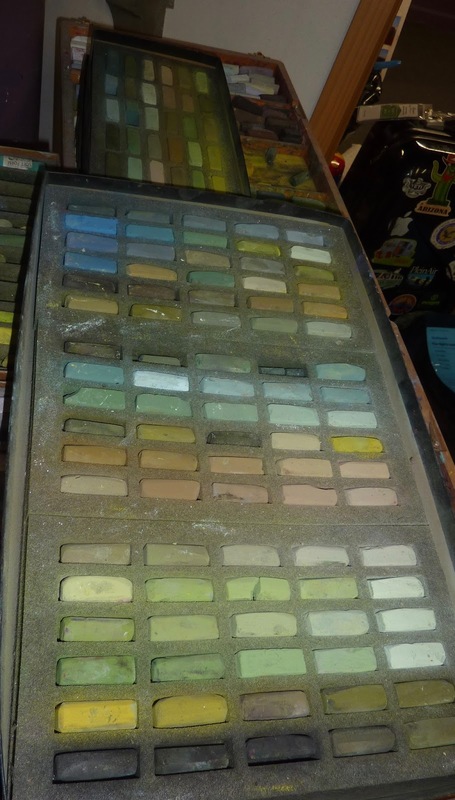 Note: Because I was using only green there was no worry of creating grays or muddy color by blending layers together. 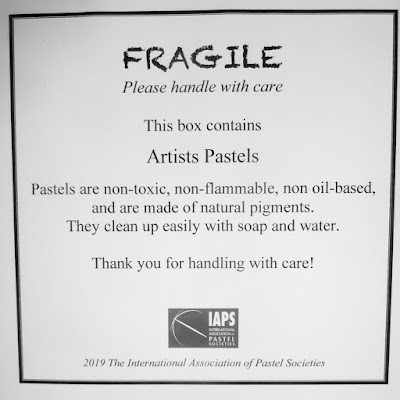 Are you going to the IAPS convention in June? Maybe you have some travel plans and you are thinking about bringing along your pastels. I never regret bringing some art supplies with me on a trip. 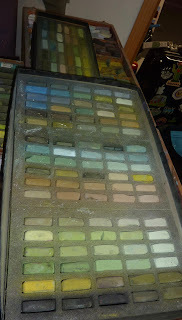 Even if it isn't a dedicated painting trip I want to have some pastels with me. I have taken pastels on more flights than I can remember and I have leaned a lot along the way on how to travel with pastels without stress. In the following quick video I share my tip for stress free travel with pastel. Click on the link to view the video on YouTube. and I make sure it passes the shake test! I was scrolling through my blog archives looking for workshop photos when I stumbled upon a post from 2005. That was the year I started painting! 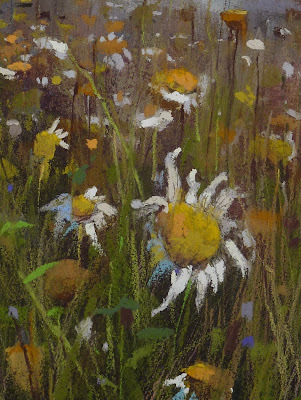 So the painting I shared were my very first daisy painting and they were plein air no less! 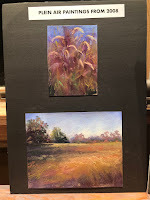 Since it is the beginning of plein air season AND I am right in the thick of planning for my wildflower demo at IAPS, I thought it would be fun to share this old blog post and painting. 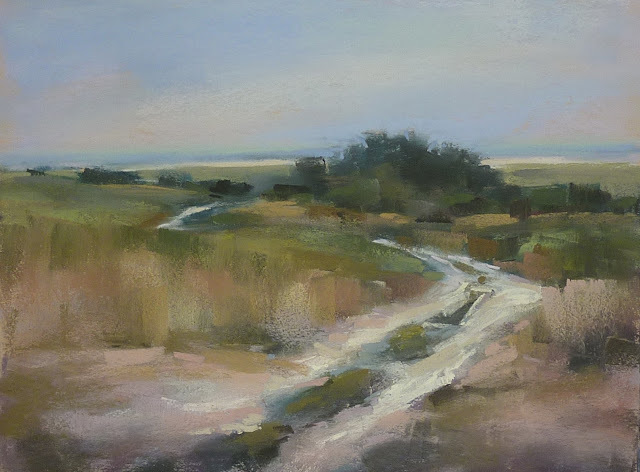 This week on Wet Canvas, which is an art site I love to follow, everyone on the Pastel Forum was invited to submit their favorite or most meaningful painting of 2005. I chose this one because I feel it was the most meaningful painting for me. I started taking lessons with Marsha Savage last January and it was the best thing I could have done! I dicovered quickly that I really loved pastels. They suited me and it was so much fun! 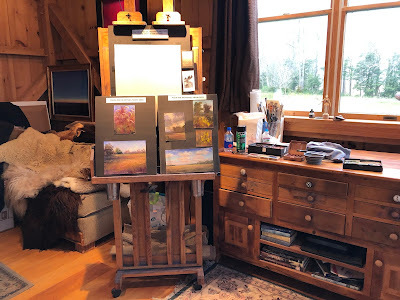 But it wasn't until I took a Plein Air Workshop at Marsha's cabin in Blue Ridge, Georgia...that I really decided to get serious about my painting. I realized how important it was for me to paint. It was the perfect creative outlet for me...and believe me, I have tried everything over the years! (this was also where Jayne & I discovered that we were kindred spirits..and for that I am grateful) This painting of the daisies was done on location at the home of Mrs. Parks in Blue Ridge. 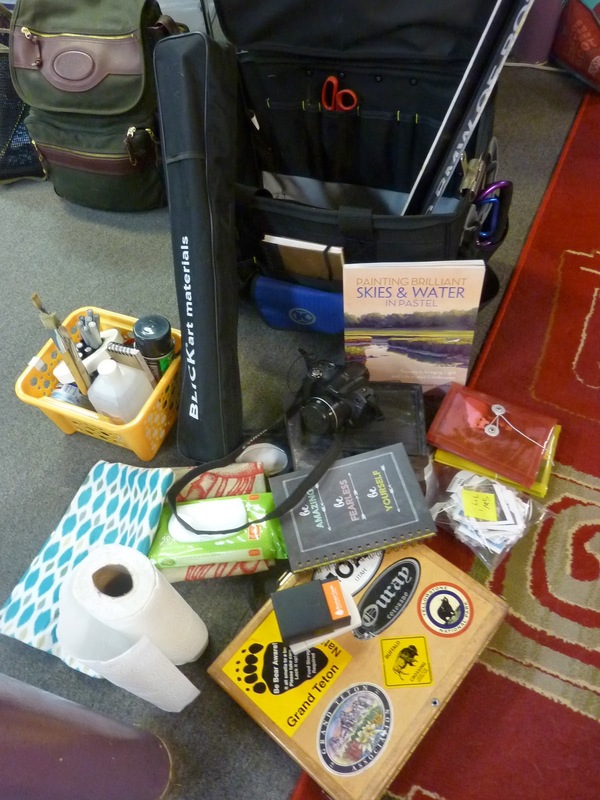 I was packing up my supplies after a morning of painting plein air with the group. 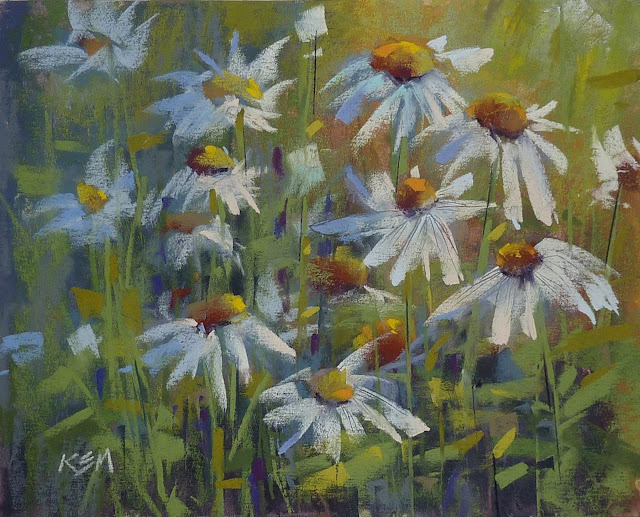 I couldn't resist trying to do a quick study of the daisies. So I set my easel up and quickly painted them. It just seemed to flow for me and it was so enjoyable. 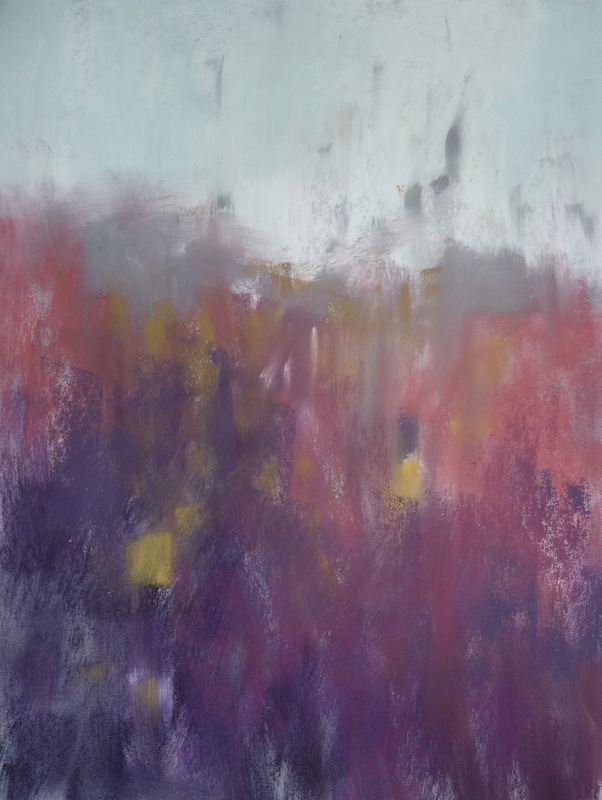 I was thrilled when during the critique, Marsha said she wouldn't mind owning this painting. I realized that perhaps I had something to offer with my paintings. 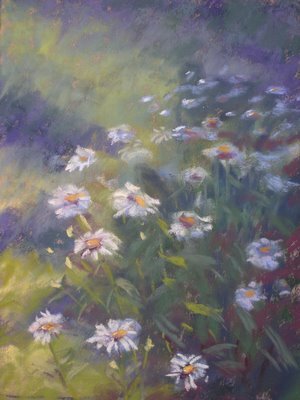 The original daisy painting from 2005. 12x9 pastel. I love looking back can you tell? I can see glimpses of who I have become in this very raw and emotional response to my subject. Sure it has issues but I have come a long way. The trick is to keep that initial spark and fresh response to our work and not always overthink and over work! It seems as though my daily painting time has moved to the early evening. 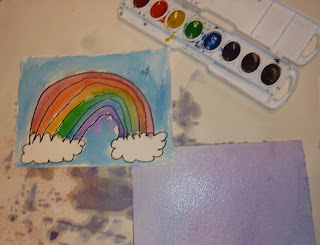 Baby duty has changed my schedule and I am getting into the routine of a late afternoon painting. 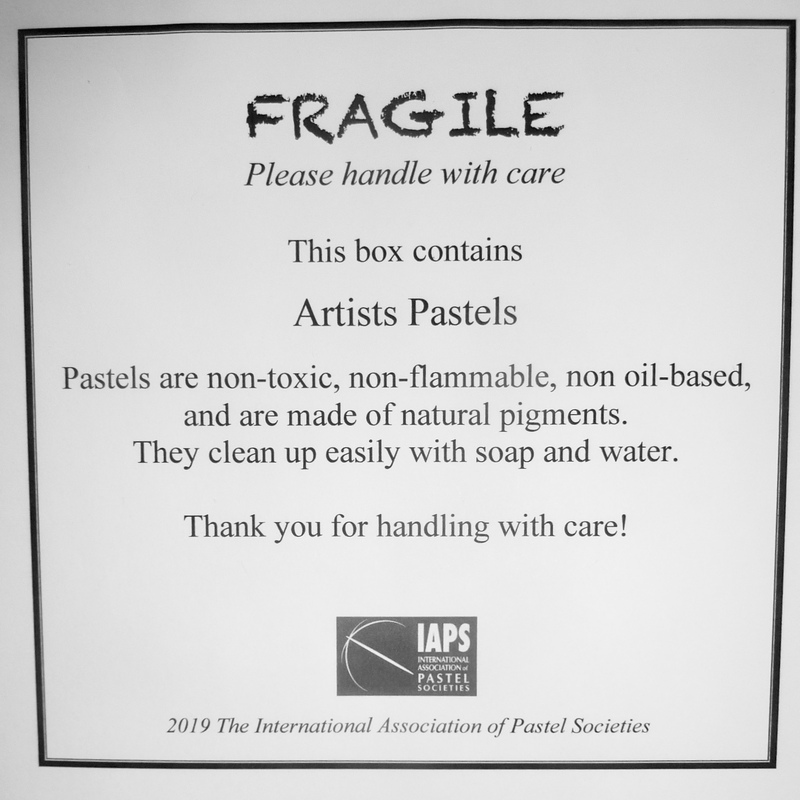 Today I pulled out an envelope of sample pastel papers that I had on my paper shelf. Ive had this pack of miscellaneous papers for yeas now. It was given to me by an artist who was changing mediums. I have no idea how old the papers are but there are a couple of sheets of Wallis paper. Today I decided to use a mystery piece of paper. It was marked 'Windberg' on the back. I had never heard of it before and so I was curious. I really don't like trying mystery paper in case I really really love it and can't find more but my curiosity got the best of me. 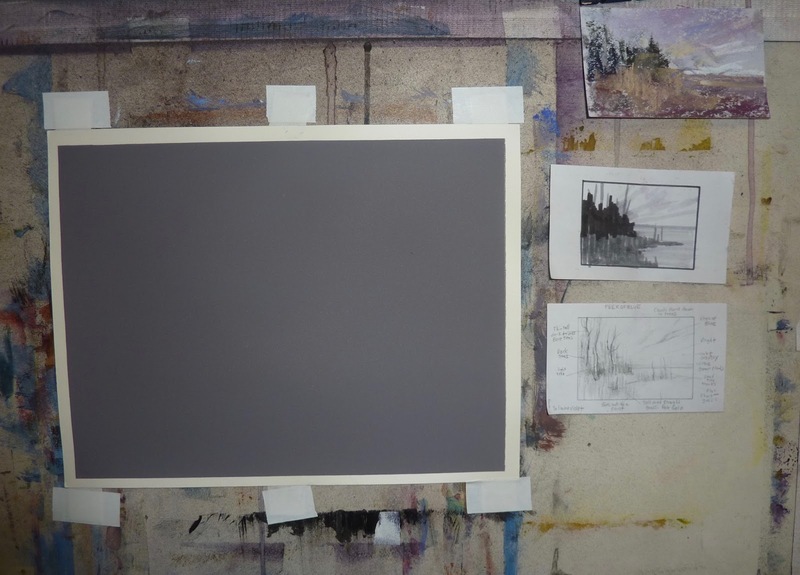 The paper was a soft neutral gray tone and felt smooth with a bit of a gentle tooth. The paper seemed like it was a coated rag type and was fairly heavy weight. I wasn't sure how it would take a wet wash so I did a dry block in. I thoroughly enjoyed working on the paper. It took quite a few pastel layers and workable fixative layers. I like the soft feel. It have some 'give' which I like. I would definitely use it again......if it still can be found! I googled Windberg pastel paper and found the following. It seems like they just make panels but they use marble dust for tooth which explains the tooth of the paper. The color is the same as my mystery paper. What happens when you take an old and unwanted demo painting and paint over it with clear gesso? You get a gray and muddy textured underpainting to play with! Not only did you save a good piece of paper you get to experience the wonderful world of texture which is sometimes a challenge with pastels. 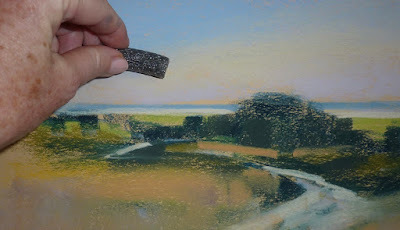 Have you tired clear gesso on an old painting? Clear gesso has a bit of a gritty texture so not only does it dry clear, it dries with a lightly sanded texture. 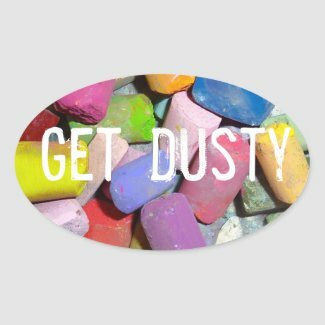 You can enhance the texture by brushing it on with random brushstrokes. 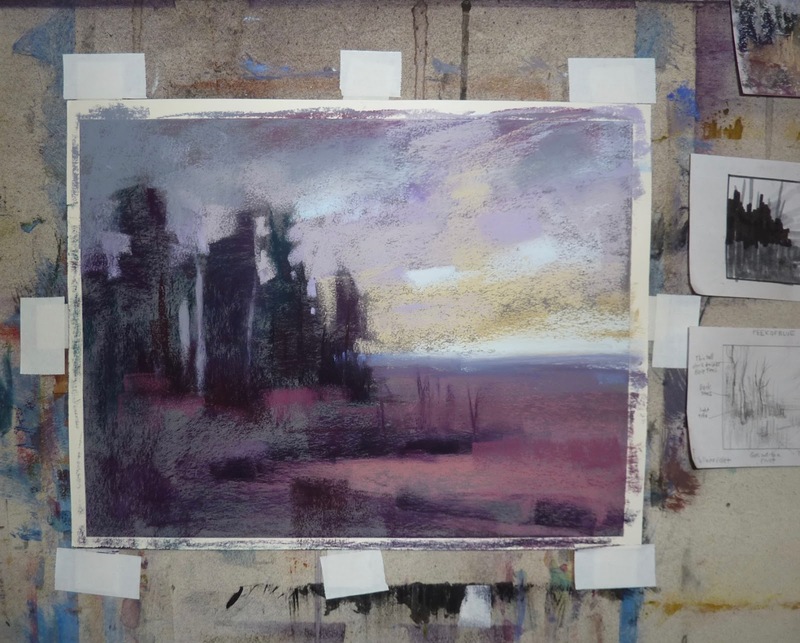 When you paint over the pastel on the old painting you turn it into liquid paint and depending on the colors used you will get a totally unique underpainting. When it was dry I knew it would be perfect for a wildflower meadow painting that I have been wanting to do. The texture added so much interest to the grasses. I even enjoyed the texture in my clouds. 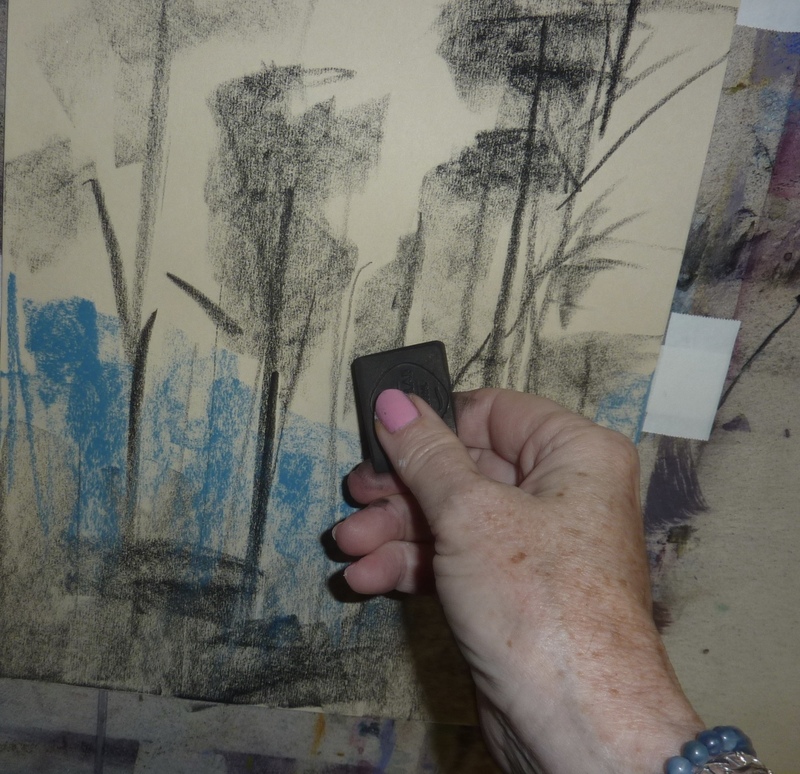 TIP: If you want to downplay the texture you can rub the pastel layer into the paper. If you really want a smooth area use some sandpaper to smooth out those areas. 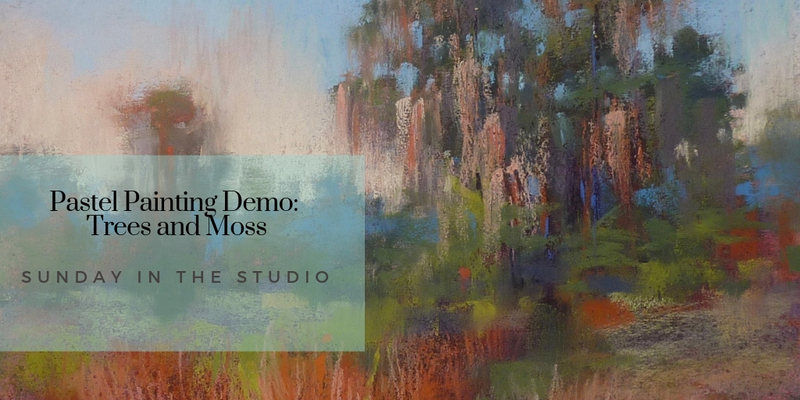 New Sunday Studio Pastel Demo on YouTube! Below is a photo of the painting when the video ended. You can see the finished painting at the top of the post. Can you tell what I did for the finishing touches? At the end of the video before some finishing touches. I love using the Magic Frame to see how much more I need to do! I guess I am just a perpetual student. I love to learn new things. I am happiest with my nose in a book or listening to a good lecture and taking notes. Maybe that is why I also love teaching. It gives me the chance to be creative with the information I share and design workshops that lead to lifelong memories! 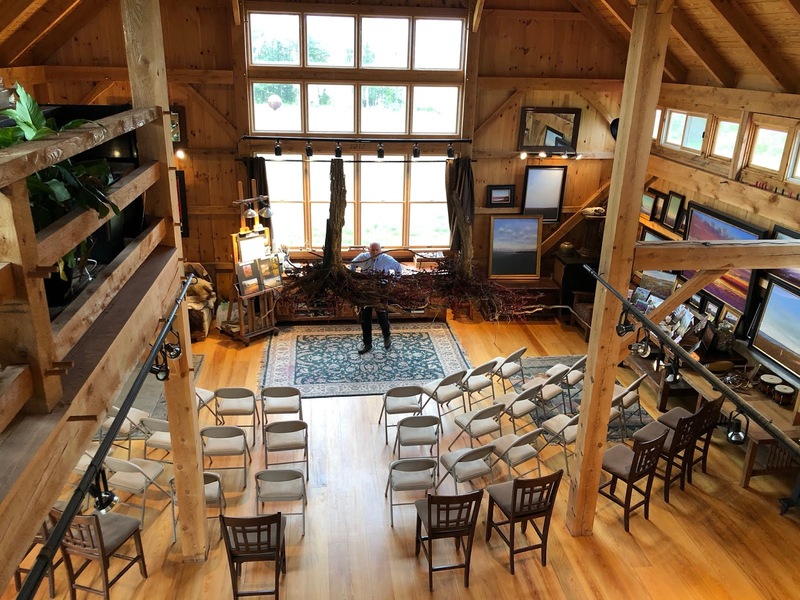 This week I am preparing for several upcoming workshops so I thought I'd share my thoughts on why taking workshops is a good thing. 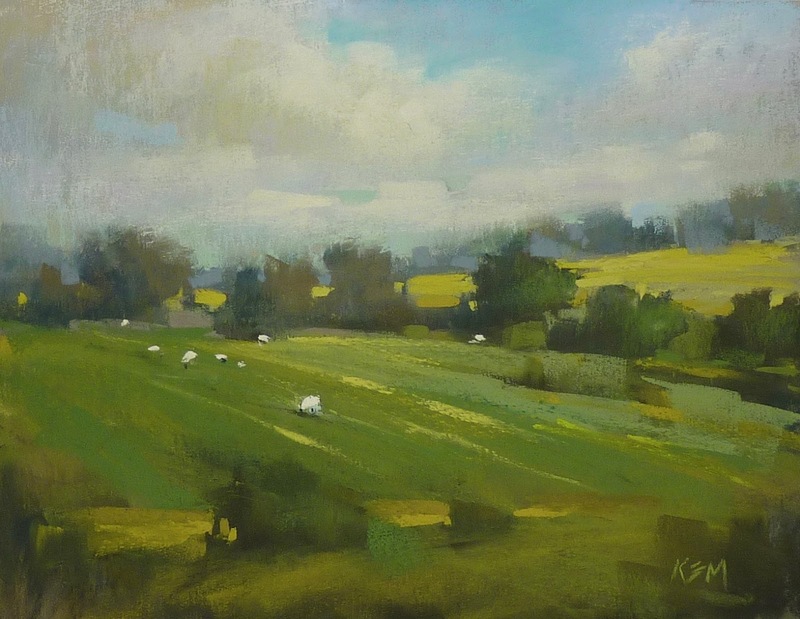 One of the things I love about painting is that artists are never done learning. It is not something we totally master. We may develop technical skills but there is always room for learning and growth. I like to take workshops. I choose my workshops carefully and make sure I don't take too many too closely spaced. Time is needed to digest what is learned. Too much information from too many sources can be confusing. But chosen wisely a workshop can have many benefits. All my gear! Packing is different for a studio workshop when I have my car than flying to a plein air workshop. A workshop exposes us to new ideas and techniques which can lead to new discoveries even for the most experienced artist. We often learn just as much from the other artists in the workshop. I always learn tips from my fellow artists...not to mention meeting new friends who are as passionate about painting as I am. It's good for your brain! It is important to go back to learning mode every once in awhile. Hearing things you know explained in a different way can lead to breakthroughs and aha moments and we are never too experienced to have those! Workshops can be a time of forced immersion in art. Sometimes life gets in the way and we don't get to paint as much as we want. 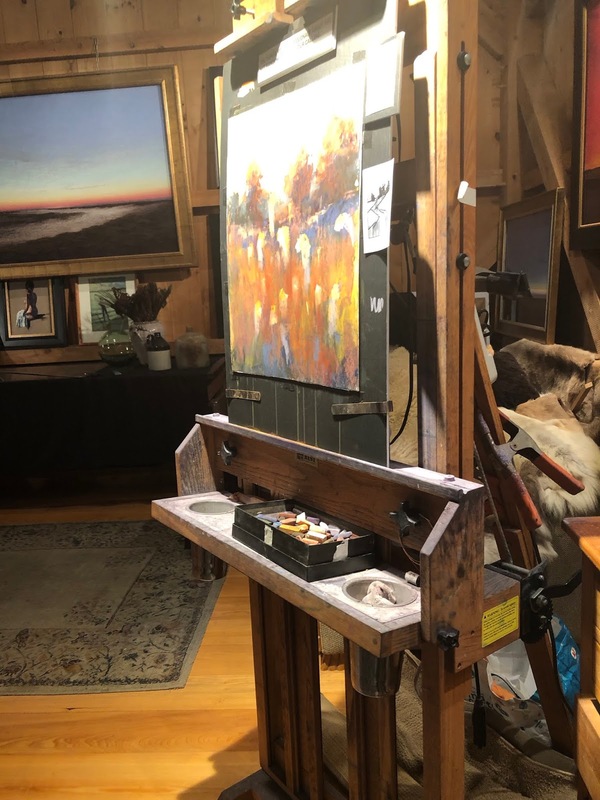 A workshop gives your days of uninterrupted painting time. It can really jumpstart a good routine. Workshops help me learn how to be a better teacher. It is humbling to be a struggling student...going back to that place helps me understand my students and what they are feeling in my classes. Workshops lead to lifelong friendships and memories. These experiences add to the fabric of our experiences. The more we experience the richer we will be and the better we will be able to express ourselves through our art. 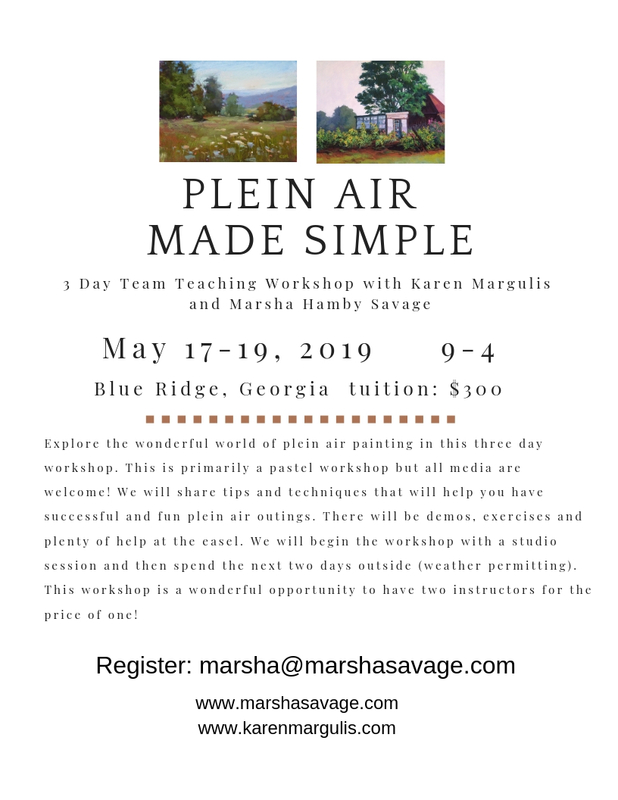 HERE IS A GREAT WORKSHOP OPPORTUNITY! There are a few openings left in the team teaching Plein air workshop I am teaching with Marsha Savage! Click here for all the details! !